Di Palomo are a brand that was conjured up by three friends reminiscing of their time spent in Italy. Each scent captures the essence and sees inspiration from different regions of the country to bring us truly unique and enchanting fragrances for the body and home. There are four collections, Tuscan Rose, Wild Fig and Grape, Orange Blossom with Wild Honey and Olive, and White Grape with Aloe. 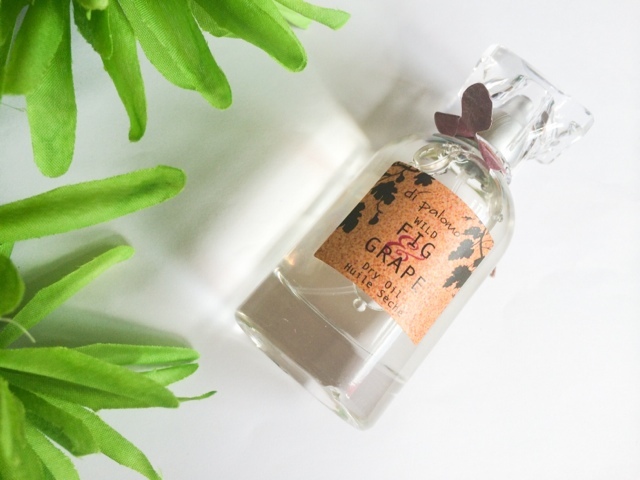 The scent I have is Wild Fig and Grape which has top notes of Grape and Gardenia, middle notes of Ripe fig, Orange blossom and Minosa, and base notes of Sandalwood, Amber and Vanilla. The fragrance is very warming with a sweetness to it which is deepened by the sandalwood and amber. Its a very grown up seductive scent and reminds me of warm summer evenings in the garden. The range consists both of bath and body products as well as candles and diffusers to capture the scent in your home as well as on your body. The Wild Fig and Grape Dry Oil* is a unique blend of oils and Vitamin E which are instantly absorbed into the skin. The texture and finish is very much like the dry oil sunscreens that disappear into the skin on contact. It leaves no greasy residue, only the gorgeous scent, which lingers on the skin leaving it feeling hydrated and soft. The dry oil can also be used on the ends of your hair as a perfume, and it actually work really well! Just like when its applied on to the skin, it doesn't leave it greasy or dry it out at all. Something that did surprise me was the fact you can use it on your face! I haven't tried this as I personally don't like that idea of it, and shudder at the thought of putting something this highly perfumed on my face, but ever the less a very interesting product. 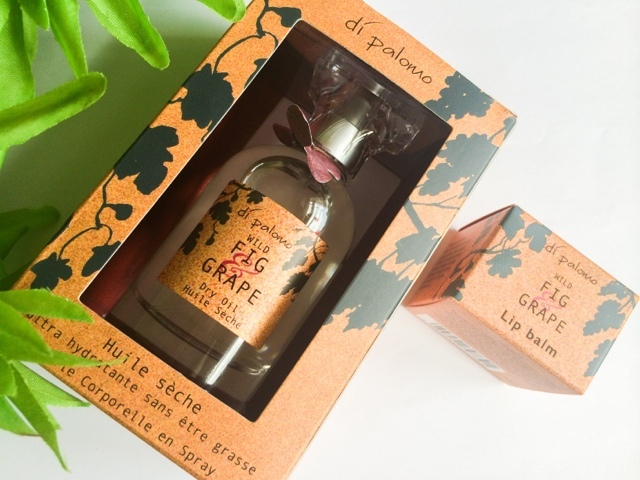 The Wild Fig and Grape lip balm* is also very nice. It tastes and smells at lot sweeter than the dry oil, which I prefer and leave the lips feeling smooth and moisturised. The balm isn't waxy or too greasy and tints the lips slightly adding a hint colour and sheen to them. Have you tried any other scent form the Di Palomo collections? 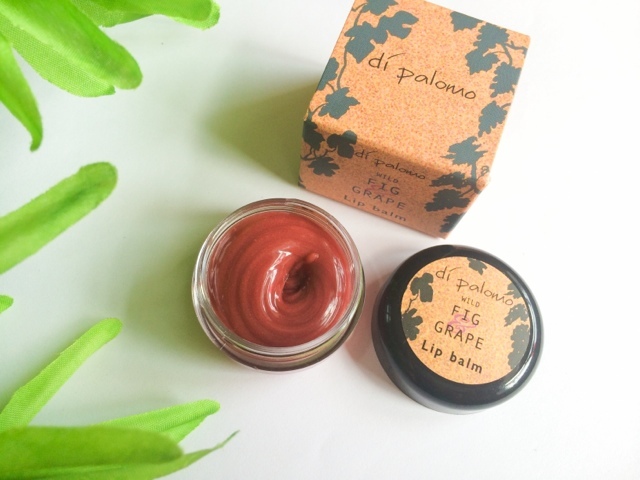 I've recently been using the Di Palomo White Grape Lip Balm which smells absolutely gorgeous and works brilliantly! TheDonkeyInvasion - A Book & Spontaneous Blog!